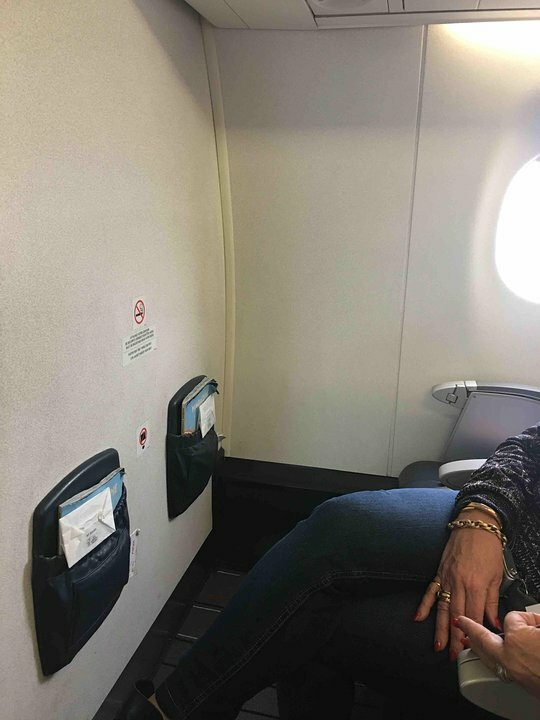 1 A None No Power Seat 1 A may have restricted legroom. 1 C None No Power Seat 1 C may have restricted legroom. 20 A None No Power Seat 20 A is in the last row. This seat may have limited recline. The proximity to the lavatory may be bothersome. 20 C None No Power Seat 20 C is in the last row. This seat may have limited recline. The proximity to the lavatory may be bothersome. 20 D None No Power Seat 20 D is in the last row. This seat may have limited recline. The proximity to the lavatory may be bothersome. 20 F None No Power Seat 20 F is in the last row. This seat may have limited recline. The proximity to the lavatory may be bothersome. All Affaires seats have 110V power ports. There is no inflight power in Voyageur class. This version can hold up to 76 passengers and is used for short haul flights. Relatively comfortable and spacious place to be a medium-range aircraft. Poor snack offered by the company. Air France flies 1 versions of Embraer ERJ-170.